We’ve likely all heard at one point or another that cats are nocturnal animals. While this is an absolute within the realm of common knowledge, heresay often gets things wrong, or spits out half-truths that sound right, but under a microscope, just don’t cut it in terms of accuracy. Is that true of the statement that cats are nocturnal? Is it a myth? And if so, what about the majority of our pets that sleep soundly through the night? Are they fighting against their nature? Can this be unhealthy for them? And do indoor only cats have different sleep rhythms than outdoor cats, since outdoor cats can typically go out and let off some steam whenever they please? There are a handful of terms related to Circadian rhythms you should get the gist of to make all this information about sleeping patterns a lot easier to grasp. Don’t worry, there aren’t many and they’re all very easy to wrap your head around, I promise. You also don’t need to remember which are which, since I’ll describe them when I bring them up again in the article. Let’s start with the obvious: Circadian rhythms themselves. When people speak about Circadian rhythms – in humans, animals, or whatever else, they’re referring to the organism’s daily/24 hour internal clock. That’s absolutely it! Diurnal rhythms: Where the organism is active and awake mostly during the day, and rests/sleeps at night. We humans obviously fit into this category most of the time! Nocturnal rhythms: Where the organism is awake and active mostly at night and rests or sleeps during the day. Which is what we typically ascribe to animals like owls and bats. Crepuscular rhythms: Where the organism is active and awake during twilight – twilight being dusk (sunset) and dawn (sunrise) hour – and rests or sleeps during other periods of the day. Cathemeral/metaturnal rhythms: Where organisms are sporadically and randomly active during the day or night. That’s it for the terminology! Now let’s get into the specifics. What is the Circadian Rhythm of a Feral Cat? It would make most sense to first look to a feral domestic cat for the answer on whether cats are nocturnal. After all, feral cats have little interaction with humans, so if we adjust cats’ sleeping patterns through our interactions with them, feral cats would have the least adjustment to their natural sleeping habits. What did scientists find when they studied activity patterns in feral cats? If you take a look at the graph in the study, it becomes fairly obvious the nocturnal behaviour he’s talking about is more or less crepuscular – regular at both dusk and dawn. I’m not quite sure why he used the term nocturnal – maybe that term hadn’t yet been carved out in 1983 – but when another scientist, Paul D. Meek, cited Izawa’s study as a reference in his own research paper, “Home Range of House Cats Felis Catus Living Within a National Park,” he states: “summer activity patterns of feral cats suggest a crepuscular mode, although this pattern changes during winter with increased diurnal activity.” (I’ve added the bold myself). So, interestingly enough, a feral cat’s circadian rhythm changes during different seasons, and it’s typically seen as crepuscular or nocturnal, at least for months besides winter. So Are Domestic Cats Nocturnal? Whether domestic cats are nocturnal is up for debate. 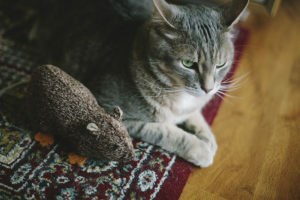 The scientific community seems to agree for the most part that our domestic cats, unlike many of their wild cat relatives, are more or less crepuscular rather than nocturnal – meaning they’re more likely to be awake and active and dawn and dusk than they are to be throughout the night. 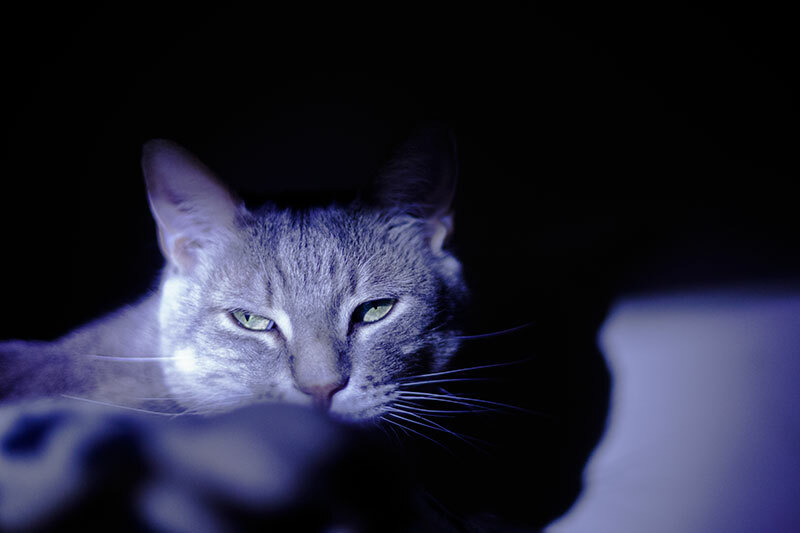 There are many vets and pet experts who will still call cats nocturnal, however, so it’s not particularly wrong or a myth that cats are nocturnal, it just may not be perfectly accurate. But most people aren’t familiar with the term crepuscular, while nearly everyone knows what nocturnal mean. And at the end of the day, crepuscular and nocturnal mean around the same thing when you’re speaking in practical terms about the cats who live in our homes: our cats are up when we’re typically asleep – whether that’s at night or during the wee hours of the morning and evening. So I don’t see there being much harm in continuing on saying cats are nocturnal, even if for all intents and purposes, it’s discovered they are more or less crepuscular. 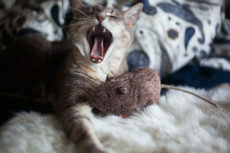 Do Feline Sleep Patterns Change or Adjust? Do Indoor/Outdoor Cats Have Different Sleep Rhythms? Considering outdoor cats typically have the ability to leave the house whenever they please, it makes sense that they would have more “natural” sleeping rhythms than indoor cats whose activity patterns would likely be more influenced by their humans. If you guessed that indoor cats had more of a diurnal rhythm while outdoor cats had more of a crepuscular or nocturnal circadian rhythm, you’d actually be spot on with your hypothesis. 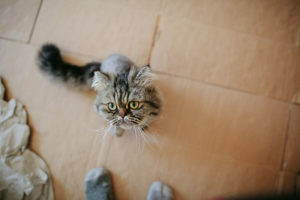 A research paper titled “Daily rhythm of total activity pattern in domestic cats (Felis silvestris catus) maintained in two different housing conditions” studied this very question. The researchers started by splitting 10 cats half. The first group (Group A) lived indoors and was allowed to go outside for an hour a day from 8 to 9 PM. The second group (Group B) lived indoors, but always had free access to the garden, at all hours. 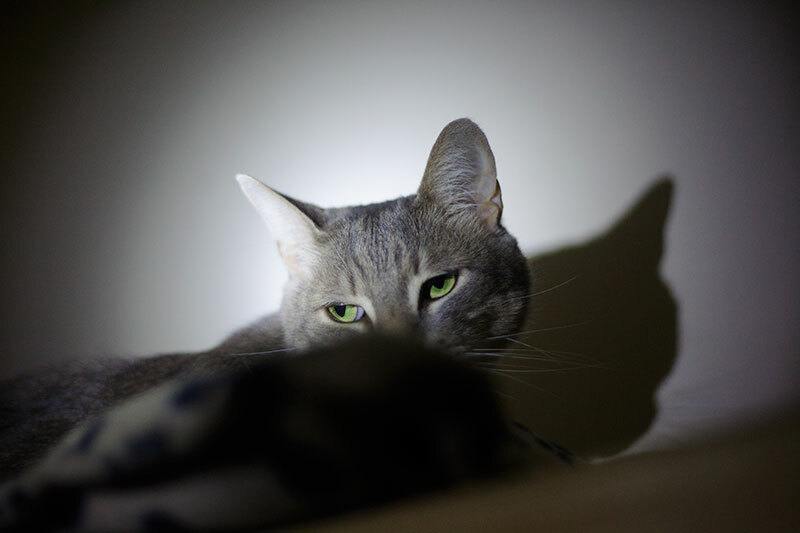 These cats were observed to see if and how their circadian rhythms changed. 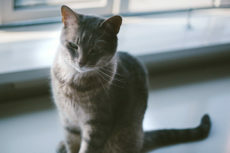 Thus, Group A cats – who were for all intents and purposes living indoor only – increased their activity during the day. 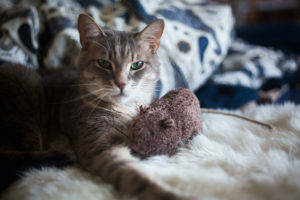 The outdoor cats, by comparison, stuck more to their “roots” – their natural circadian rhythm, as they were observed being most active during the hours of the night. 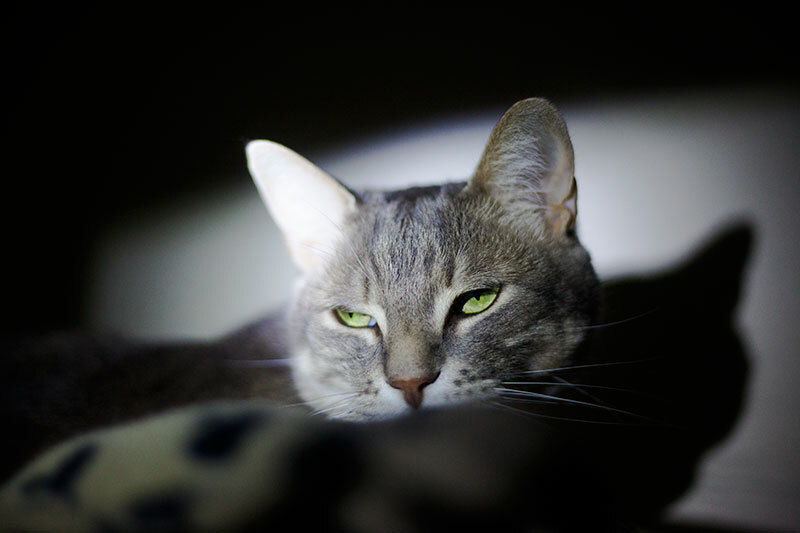 Can a Cat’s Sleep Pattern Change? Do Their Circadian Rhythms Adjust? So yes, based on the research presented above, domestic cats’ sleep patterns absolutely can and do change. If you’ve ever owned a cat yourself, you’ll realize how incredibly helpful it is that cats can do this. Imagine having a cat who’s sleeping when you’re awake, and is up, hyperactive and itchin’ for grub, while you’re trying to get some sleep. Needless to say, you’d become pretty sleep deprived after even a week! That being said, while many indoor cats will alter their own behaviour to be like their diurnal cohabitants (us! 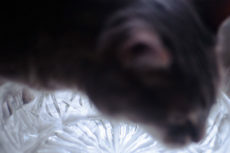 ), some cats need a little help and coaxing to get there. 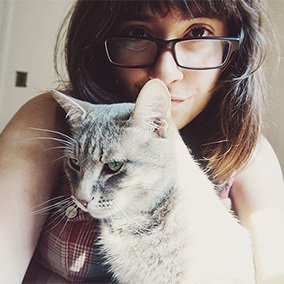 These cats will typically whine, cry, and beg for attention, food, or another need to be filled at night over and over since their circadian rhythm is not synced up with their pet owners’. If you’re in this situation yourself, there is a fix. Back when Thomas and I first adopted our cat Avery, we had this problem for months until I realized how to get Avery’s internal clock to sync up with ours. 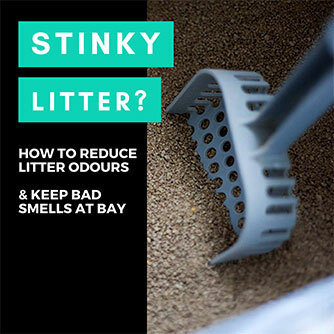 I’ve posted a guide on how to do this here. 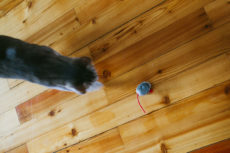 It does take some time and effort, but as with any and all cat training, it’s a matter of fulfilling the needs of your cat in a way that’s ideal for human cohabitation, and once it’s done, the behaviour typically sticks very well. Cats don’t often slide back into old patterns unless you personally slip into old habits and stop fulfilling their needs as you had been during the training process. 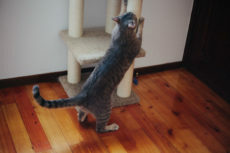 Can Changing Activity Patterns Be Unhealthy for a Cat? Please correct me if I’m wrong, but I don’t think it’s possible for a cat to become unhealthy by switching to a diurnal rhythm (being awake at daytime and resting/sleeping at night), and have found no evidence stating that it is possible for a cat to become sick, ill, or unhealthy due to an adjusted circadian rhythm either. Instead, I have found evidence that a sudden, dramatic shift in sleep patterns might indicate illness or sickness, but that’s not what we’re talking about here. What we’re talking about is a slow, gradual adjustment away from a nocturnal or crepuscular pattern to a diurnal rhythm. And that doesn’t seem to be unhealthy at all. If your cats have absolutely all their needs met – get out all the activity, exercise, and aggression they need to during the day. If they get all their calories, get all the mental stimulation they need during the day – and then sleep without a fuss comfortably and happily at night – there should be no reason this alternation away from their “state of nature” circadian rhythm would have any impact on their health or well being. 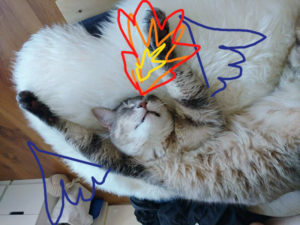 Your Experience With Cats Sleeping VS Active Hours? In your opinion, do you think it’s more likely cats are nocturnal (active at night) or crepuscular (active at dusk & dawn)? Have you ever struggled with a house cat waking you up at night? Have you ever experienced a cat’s sleep rhythms change to be more like their cohabitant humans’ diurnal (active during the daytime) sleep rhythms? If you’ve had multiple cats – have they all had the same activity patterns? Have some struggled to transition while others became diurnal soon after they were introduced into your home? 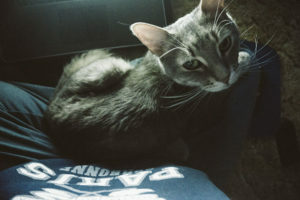 What type of cat were they before you took them in (feral/indoor/outdoor), vs afterward? Were they adults or kittens? Would love to hear your experiences down in the comments below! My cat sleeps most of the day but is awake different times during the day and night. She is almost 12 years old. Is something wrong? What category would you put her in? This sounds completely normal and healthy to me! 🙂 All cats are awake at different times during the night and day. If Daisy Mae is active (playful, hyperactive, etc.) more during the day when you’re up, she’s probably diurnal. If she’s active more during the night, she’s more nocturnal. And if she’s active more during sunset and sunrise, she’s more crepuscular. But all of these are healthy options and even if she’s a slight mix of two or more, that’s also normal! 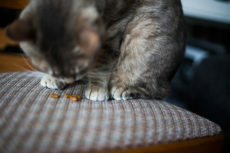 The only time you’d have to worry about her health with sleep and activity rhythms is if your cat is suddenly doing something dramatically different from before. Like if she suddenly isn’t sleeping through the night, but is whining and crying for most of it, when she used to sleep through without issues. That’s when there might be a problem.